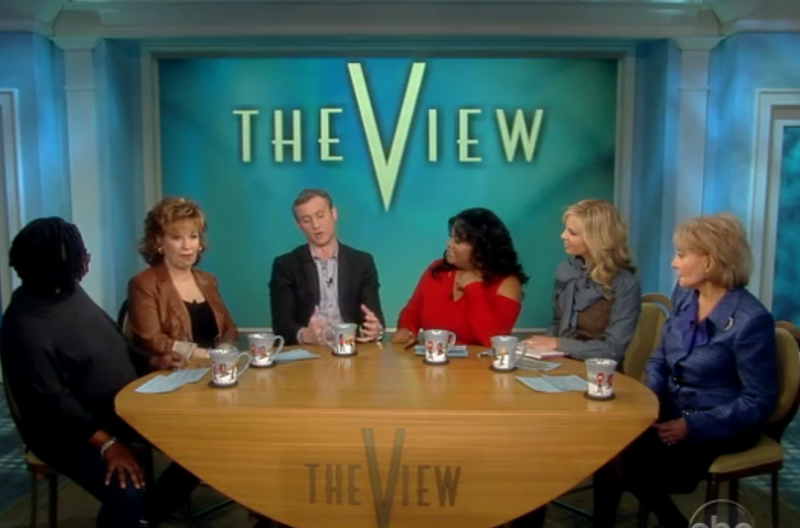 Dan appeared on The View to promote his book, Man Down: Proof Beyond A Reasonable Doubt That Women Are Better Cops, Drivers, Gamblers, Spies, World Leaders, Beer Tasters, Hedge Fund Managers, and Just About Everything Else. Alongside the ladies, he discussed the book, which works to prove his theory that women are just simply better than men, especially in many areas of life where society perceives the opposite to be true. Of one particular example, Dan says: “There was a really interesting study, and they did everything that they could to make sure all other factors were excluded — they had all these people come in and watch male and female newscasters presenting news, and again and again the women were viewed as more credible, meaning the words coming out of the women’s voice was more credible. But what’s really incredible about this study, is that when this same group of people was asked ‘Do you view men or women as more credible newscasters?’ the answer was men.” For more, including how women are less corrupt in politics, how women are getting better looking over time, and even how the book quotes Whoopi Goldberg, watch his segment on The View here, and for the latest Man Down news, check out this site.